Welsh Dragon Design Cufflinks. An excellent gift for the Patriotic Welshman! 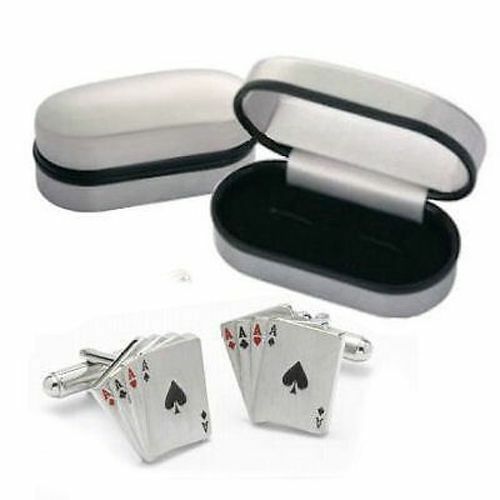 Playing Card design Silver Plated Cufflinks. Our classic chrome square cufflinks are set with small brown, orange & yellow enamel squares. Highly polished, silver plated or gold plated, oval cufflinks would make the ideal personalised gift, for Weddings, Birthdays and many more occasions.